The cost of producing biodiesel from algae is now three and a half times more than producing it from oil, and twice as much as producing fuel from rapeseed. Investments in biotechnology would however make it feasible for petrol to be produced from algae. This is put forth by the Wageningen University environmental economist Justus Wesseler and his colleague Vujadin Dovacevic in the October issue of Energy Policy. Last month, Wageningen UR environmental technologists Rene Wijffels and Maria Barbosa reported in Science that the production of biodiesel from algae cultivation would be feasible in ten to fifteen years’ time. 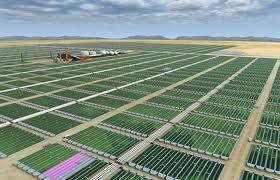 The cost of algae production would have to go down by a factor of ten, contended Wijffels. If biodiesel from algae were to be competitive with other biofuels, the productivity of algae reactors would have to grow annually by at least three to four percent more than the productivity of other bioreactors over a stretch of fifteen years. Wesseler gives this a fairly high probability of success. ‘Wijffels and Barbosa see many ways to improve the production process. The conversion of rapeseed and other crops into biofuels is already at a more advanced stage compared with that for diesel from algae. Upscaling the technology can also lead to big cost reductions.’ If oil prices were to rise again too, a point will come when biodiesel from algae becomes cheaper than biodiesel from oil. Provided that the government and the private sector keep investing in developing algae technology, adds Wesseler.